The Three Gorges region of Central China has one of the most striking landscapes on Earth. 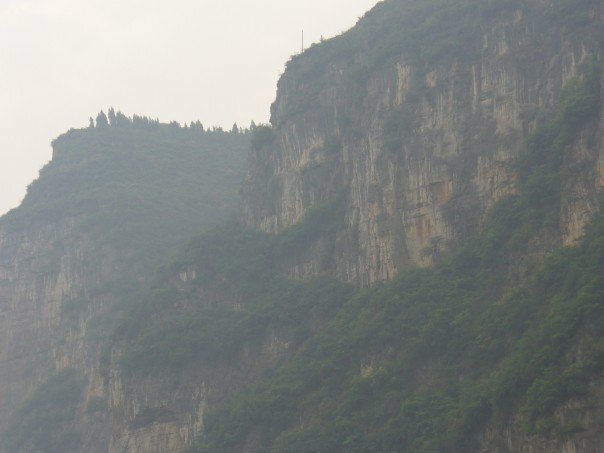 Steep cliffs covered in lush greenery rise right from the shores of the Yangtze (Yellow) river. Despite the harshness of the terrain, millions of people and numerous species of unique plants and animals call this region home. The Yangtze is the third largest river in the world (after the Nile and the Amazon). The river and it’s shores are home to iconic Chinese species such as the Dawn Redwood tree, the tiger, the pangolin, the Chinese sturgeon and the Chinese river dolphin. All told, 570 species of vertebrates and almost 2,100 species of plants live in this region according to UNESCO. The area also has thousands of archaeological sites, including rare evidence of the Ba and Damaio peoples. This entire ecosystem is in big trouble because of one of the largest engineering projects of all time- the Three Gorges Dam.